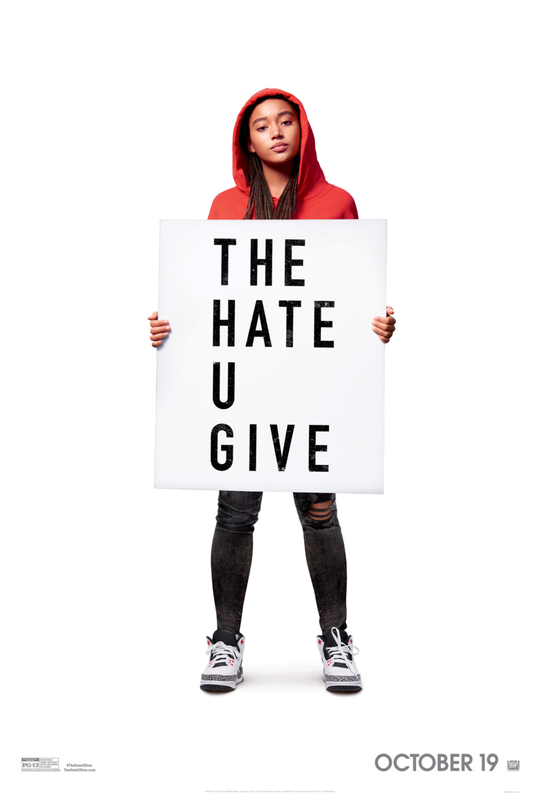 Go see this beautiful film adaptation of ‘The Hate U Give,” a teen novel written by Angie Thomas that takes inspiration from the Black Lives Matter movement. When I purchased Angie Thomas’s “The Hate U Give” and saw the book was published just a year ago, it gave me pause. I wondered why was this book written and had a movie to follow in such a short timeframe. After watching this phenomenal piece, directed by George Tillman Jr., I realized (after wiping away tears) it was for all the Haileys in the world. Hailey, played by Sabrina Carpenter, was supposedly the best friend of the main character, Starr, played by Amandla Stenberg. Starr’s father Maverick, played by Russell Hornsby, gave her the standout name. See, Hailey is the symbol of a vast majority of closeted racists and appropriators who spew ignorance in our society today. “Y’all want to act black, but keep your white privilege,” said Starr while talking to her boyfriend Chris, played by KJ Apa. Hailey thought to have Starr as a friend, whom she considered to be a non-threatening black person, was her key to using slang and making undercut comments about others not like her. But, when Starr’s true ride-or-die Khalil (Algee Smith) was shot and killed by a police officer and his murder hit the headlines, Hailey’s true colors shined. After Starr realized she needed to be the voice of her generation, the voice for Khalil and killed the spot snitching code, she picked up a megaphone that had the weight of a gun and spoke up. That megaphone revealed the hurt, pain, and anguish minorities feel to the tenth power every day when they walk out their homes. Will I get stopped by the police? What’s the protocol if it happens? Maverick taught his children one of these lessons early on before Starr was even a preteen, but it never prepared her to actually go up against the criminal justice system—a system that has failed our community time and time again. Tillman Jr. beautifully added a montage of incidents throughout the film that was captured by the media in video and photographs over the last four years. From the peaceful protest that turned into a war zone at Ferguson to Eric Garner’s last words: “I can’t breathe” to Sandra Bland and Philando Castile doomed brushes with cops that were captured on police dashcam video to Tamir Rice holding a toy gun as well as real imagines of Emmitt Till’s brutally beaten face published in Jet magazine. All these incidents were touched in this film and came together to show Tupac Shakur’s timely message: THUG LIFE: The Hate U Give Little Infants F##k Everybody. We have to treat each other——all human beings alike——the way you want to be treated. Starr learned that all police including her own uncle Carlos, played by Common, would have shot Khalil, too, because of their training. This is an important movie to watch not only for the Haileys of the world but for families across the world. Thank you, Tillman Jr., for making this and Thomas for writing. Christina Carrega is the co-founder and Chief Business Officer of 32Letter.com.